PARIS (AP) — France's high-profile environment minister unexpectedly announced his resignation live on national radio Tuesday, lamenting the government's lack of decisive action on green issues. The move deals a stinging blow to the environmental credibility of President Emmanuel Macron. Clearly emotional, Nicolas Hulot said he'd not even told his wife, let alone Macron or the prime minister, of his decision to stand down. The long-time environmental advocate lamented France's slow pace of progress on green issues and his own lack of power to force change. His on-air resignation on France Inter radio was so out of the blue that the first reaction from an interviewer was: "Are you serious?" "I no longer want to lie to myself," Hulot said. "I don't want to create the illusion that my presence in government means that we're up to standard on these issues, and so I am deciding to quit the government." 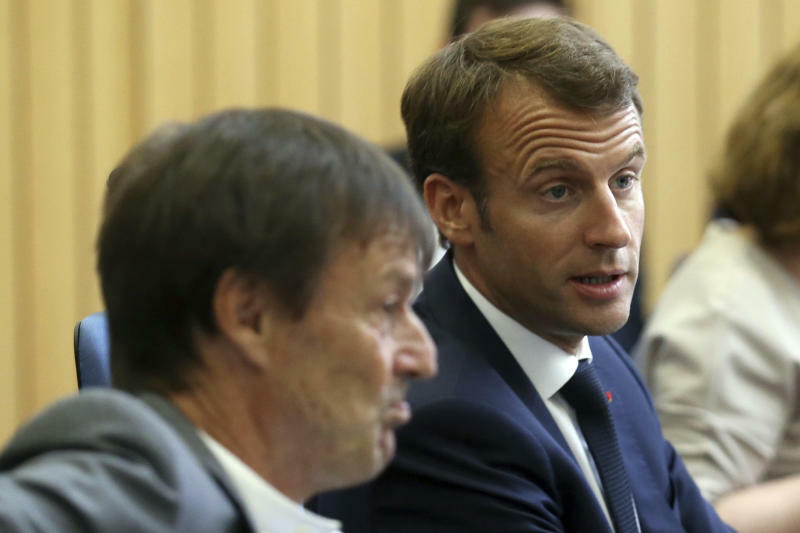 Recruiting Hulot as a minister had been a coup for Macron, who has sought to position France as a champion in the fight against environmental degradation and as a counterweight to the climate change attitudes of President Donald Trump. Losing Hulot so suddenly will force a ministerial reshuffle and casts doubt on the strength of Macron's commitment to "make our planet great again." Macron's office confirmed there will be a reshuffle, but said it won't happen while the French leader is visiting Denmark and Finland this week. Speaking in Denmark, Macron defended his government as having "done more than any other on this subject." He urged patience, saying: "It's a fight that isn't won from one day to the next." Hulot expressed hope that his resignation would stir French politicians and the public into action, calling it "an act of mobilization." "I no longer believe," Hulot said. "The planet is becoming an oven, our natural resources are being exhausted, biodiversity is melting like snow in the sun and it's not always dealt with like a priority issue." He damned Macron's government with faint praise as he sprang his resignation surprise. "France is doing more than a lot of other countries. Do not make me say that it is doing enough. It is not doing enough. Europe is not doing enough. The world is not doing enough," he said. Never a career politician, Hulot accepted a role in government in the hope that, from an inside position, he could make real progress on the environmental concerns that he has long sounded the alarm about. He was one of just two ministers given the special title of "minister of state." The other is the interior minister, who leads the police and France's domestic fight against terrorism. 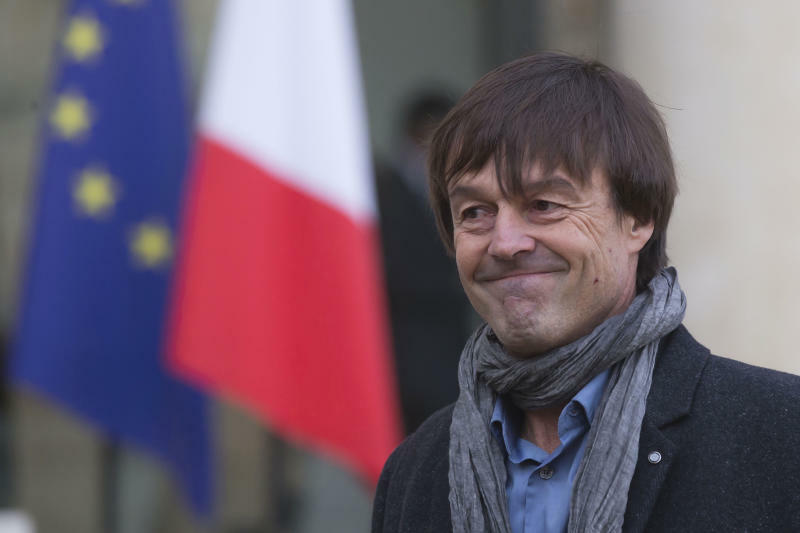 On France Inter, Hulot said short-term pressures were taking priority in the French government over the longer-term need to reverse environmental destruction. He described himself as "all alone" and said: "I have a bit of influence, but I have no power and no means." "Where are my troops? Who do I have behind me?" he asked. 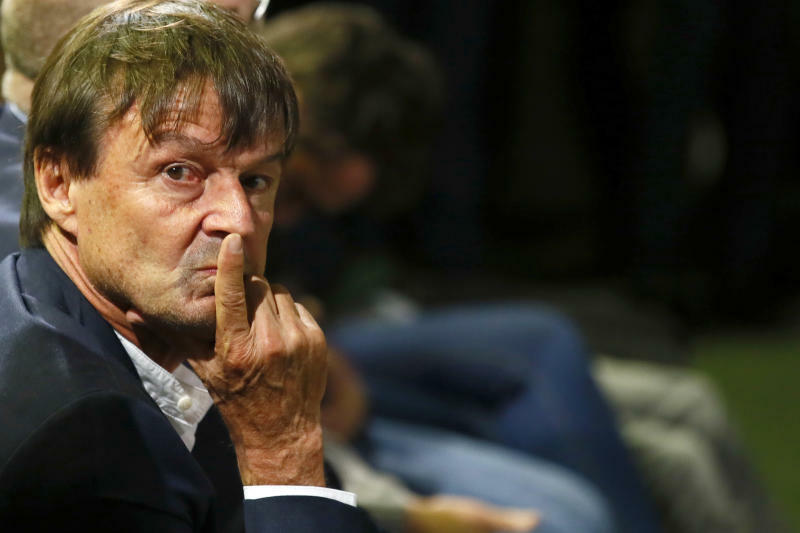 Hulot said he'd been mulling his resignation for several months, but one of the last straws was a meeting Monday with Macron about hunting. Hulot was dismayed to see that a hunting lobbyist was allowed to take part despite not being invited, seeing this as a symbol of lobbyists' influence in French corridors of power. Macron's critics seized on Hulot's departure to take swipes at the president, whose popularity ratings have slid in recent months. Leftist leader Jean-Luc Melenchon tweeted that "Macronism is starting to decompose." AP writer Sylvie Corbet in Paris contributed to this report.